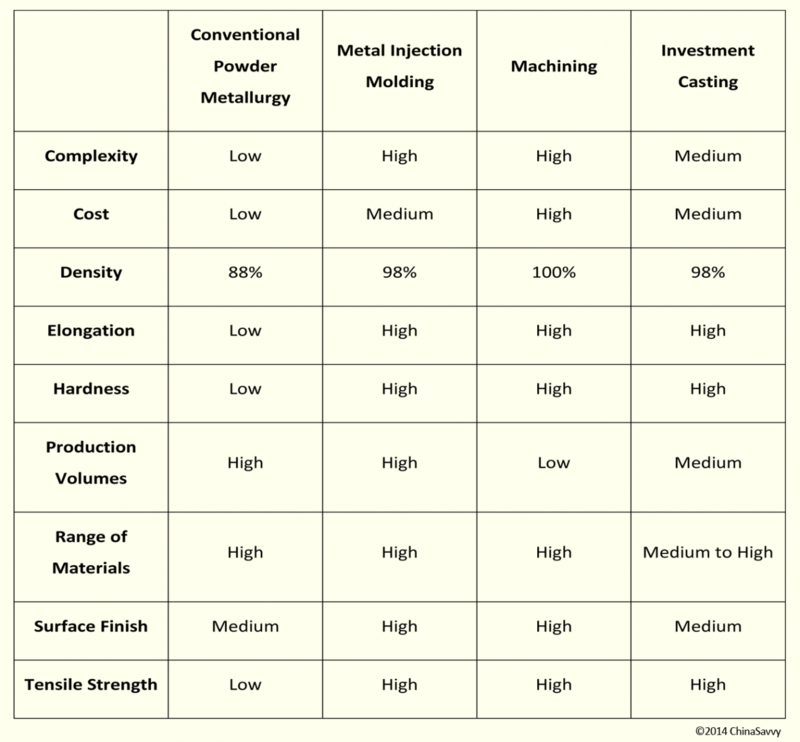 Metal injection molding (MIM) compared to conventional metal sintering (or conventional powder metallurgy) is capable of producing geometries that effectively eliminate the need for secondary operations. MIM is, commercially, the newer metal forming process, but offers two major technical advantages over conventional powder metallurgy. These advantages includes the capability to produce high density parts and secondly offers a three-dimensional design flexibility. Offering a superior magnetic performance. Producing one part where metal sintering processes would have produced two components in need of assembly. 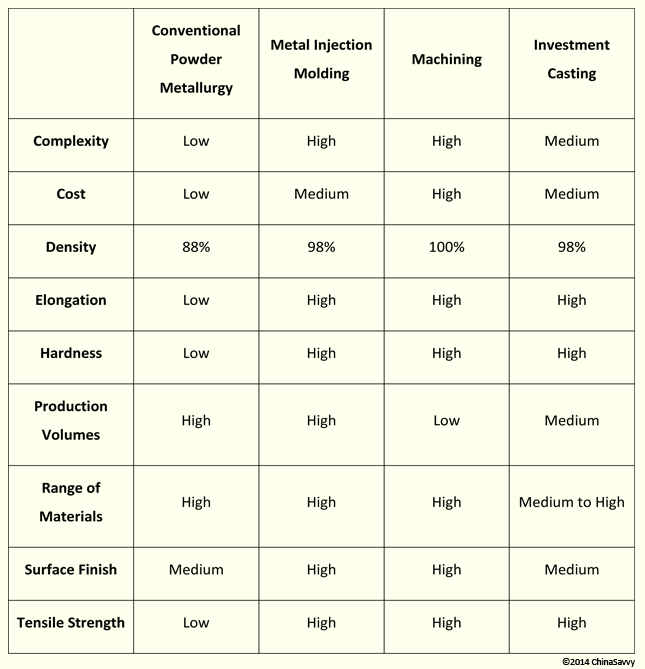 Metal injection molding can offer a part with a superior density than those produced using conventional powder metallurgy processes. MIM parts has a superior corrosion performance than conventional metal sintered parts. Metal injection molded parts have a superior ductility and strength compared to parts produced using the conventional powder metallurgy process. Note however that, depending on the project itself and the requirements of the final part, metal sintering does have its own set of advantages. It is an extremely reliable and repeatable process that offer manufacturers a low cost production method for a high volume of precision metal parts. Furthermore, the metal sintering process allows for a close control over tolerances, is capable of producing net shapes and products that has a high dimensional accuracy. With a wide variety of powders than can be used in this process, parts produced have a good surface finish and the process itself has a very high utilization of material, reducing waste and cost (in projects using a high cost metal powder). Sizing and coining can be used to increase structural and dimensional aspects of components. Coining is also used in order to increase the part’s density and, in turn, its strength. Used in order to improve the part’s resistance to corrosion and wear, steam treatments increases the hardness of the surface, improves material density and reduces porosity. Heat treatment increase material hardness and strength. It also aids in increasing the components resistance to wear. Used in order to seal the part, structural infiltration improves strength, ductility, machinability and reduces porosity.